Hi im thinking about making a skateboarding game where you control yout skateboard like a fingerboard. It would be similiar to touchgrind on iPhone, but I want to make it a little bit different. I have made already a prototype using Unity to pass my laboratories at my technical university. Now i want to make money with that game. I dont have 3k$ to buy unity pro and i would really like to work in ADT. I was searching for a library to automate low level openglES things i dont want to care about. I found rajawali library but couldnt get it working. Now i found that and im pretty happy because it was the thing i was searching for. 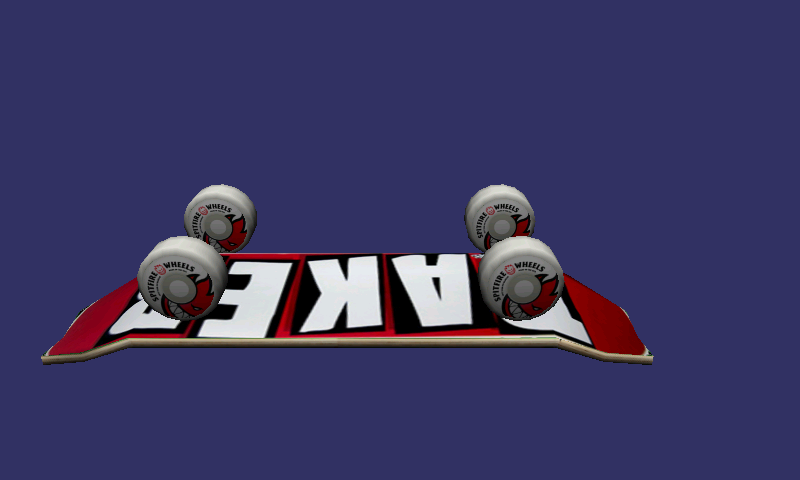 *Made a ugly model of a skateboard to start coding. *Made a class for skateboard physics. I would like to post my progress and some questions. In Unity every transformation was multiplied by time elapsed beetween every frame. Is it a good way to make the game speed equal even at lower frame rates? If your having problems understanding me im sorry, English isnt my first language.